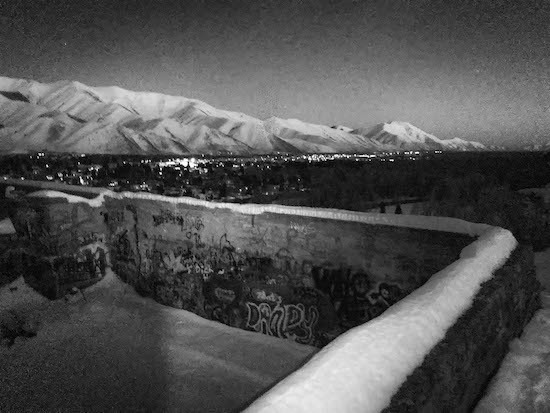 Old cistern near the base of Carbonate Mountain, overlooking Hailey, Idaho. Felt spry, especially compared to the day before. I've probably run to the top of Carbonate 200+ times, but that's during the shoulder and high seasons. 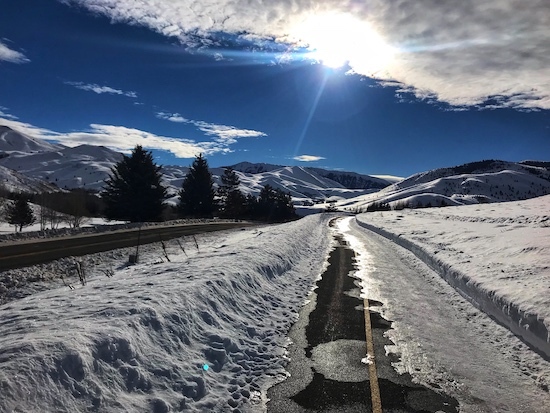 In the winter, I've only been up a handful of times, but every time I have - this run included - it's been a wonderful, if more treacherous, experience. 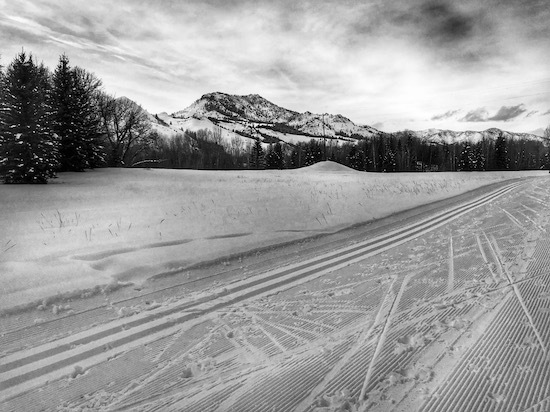 The snow routes can be on-and-off frustrating, but there is also a freshness to it all. Make it a night run in the cocoon of headlamp light, and it turns fun, with a dash of cut-off-from-it-all serenity. 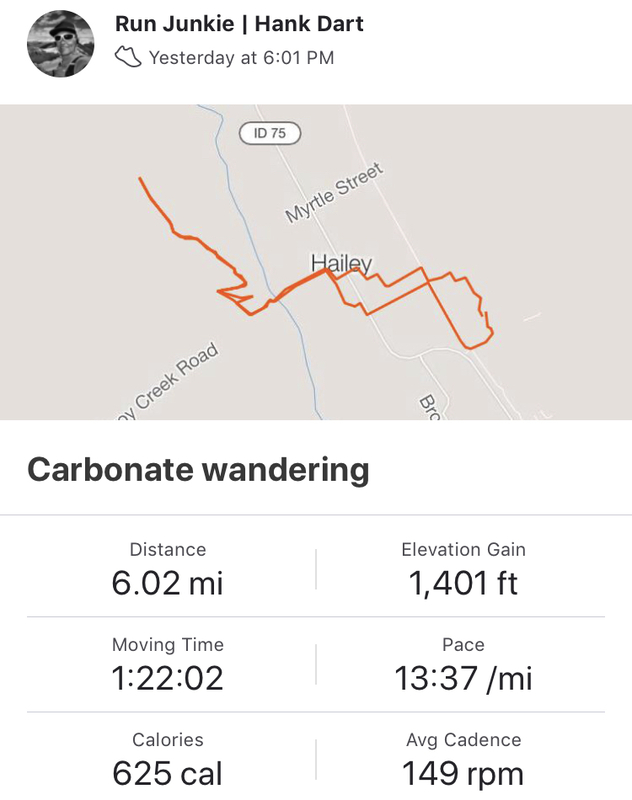 It may have been my favorite run of the past few months. The after-run disappointment in my night run photos remains absolute, they so inadequately capture what it is I feel and see in the moment. But I remain inspired to keep trying. Pod Save America - "America Runs on Dunkin'"
Slow but not easy. Had to walk 25 minutes from exertional hypoglycemia. Things adjusted and felt good for last 20 minutes. Patellar tendonitis sore at start but only briefly. Again, nothing too inspiring today. Seemed to mostly be thinking about how I felt post long run, and hoping that my tendonitis stays at bay as I ramp things up. Already tired of running in the dark and cold and icy. Too soon. Elkhorn bike path heading down to the Morningstar loop. Sun Valley, Idaho. Ear Hustle - "Firsts;" CITIUS Mag - "Jim Walmsley on Qualifying for the Olympic Trials"
First run in seven days after being sick. Easy and slow. Felt pretty good, considering. Nothing really inspiring today, which is strange for a long run. There's always, however, the feeling that I need to create more with words and images. And there's always the reality that when I get home I do little, if anything, with that feeling - with that urge. And this log is my chance to begin again to force myself to put words down, to force an attempt at worthwhile, creative thoughts - about running, life, and art. 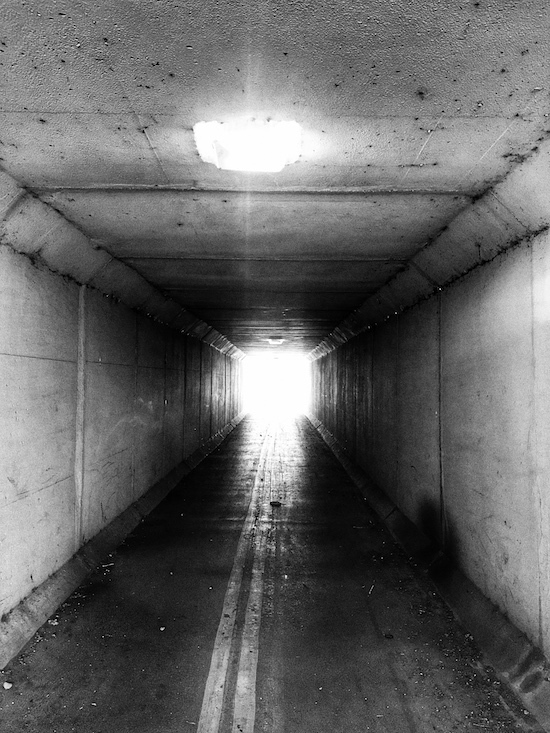 Highway 75 underpass at Lane Ranch. 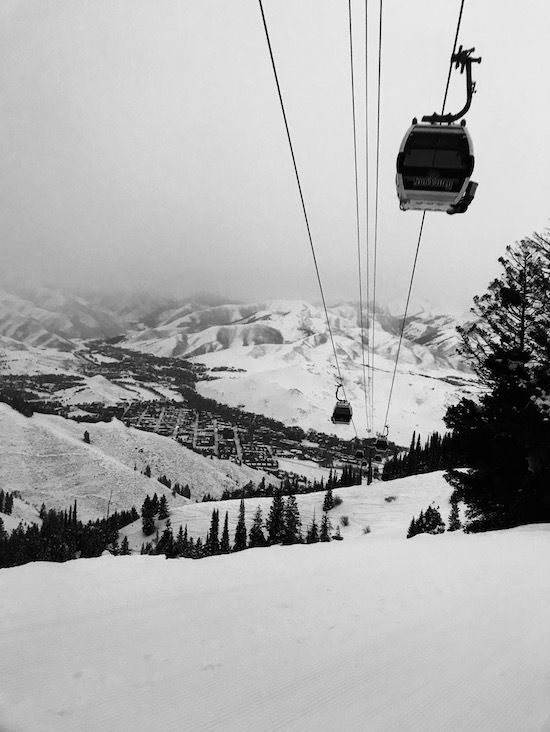 Sun Valley, Idaho. A slow but satisfying run. Ezra Pound Birthplace. Hailey, Idaho. Road run on more new snow. Rob & Akiva Need a Podcast - "#19 Conspirapod"
Easy to moderate effort. Felt good considering yesterday. Really fun podcast episode, with Antonio Mazzaro joining Rob and Akiva in a discussion and rating of wide-ranging conspiracy theories - from New Coke to RFK assassination. One of my go-to winter running routes takes me by Ezra Pound's birthplace, something I still can't quite believe even after living here since 2005. His key role in modernist poetry and modernist literature in general was something I've been caught up in since my early 20's. And even though his troubled past can't be put to rest - and in fact is deeply relevent to some far-right populist movements in Europe - I still let myself appreciate his works and his importance to art. 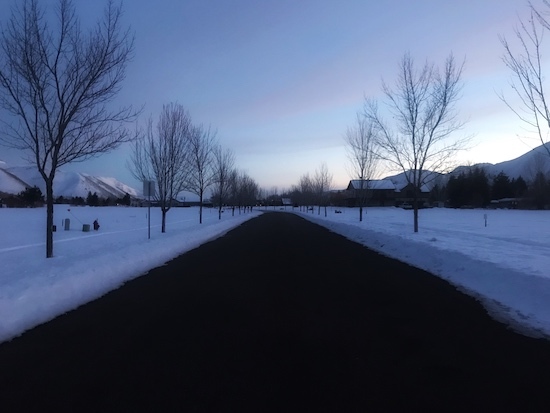 With that in mind - and a blood moon eclipse on deck tonight - I thought of a line from his Pisan Cantos as I ran by his old house, now a Sun Valley Center for the Arts building. Woke up a little before 3:00 am so I could start climbing around 4:00 am, which left me feeling a little raw on the first climb. Soft snow following the recent storm didn't help. But I felt better on the second climb and really good on both descents. None at record-breaking speed. Starting and finishing today's outing at Sun Valley's River Run lodge and also listening to a Game of Thrones podcast that discussed the siege at Riverrun in season 6, I couldn't help but think about the final words and first words (in that order) of Joyce's Finnegans Wake. The vanished power of the usual reign?" 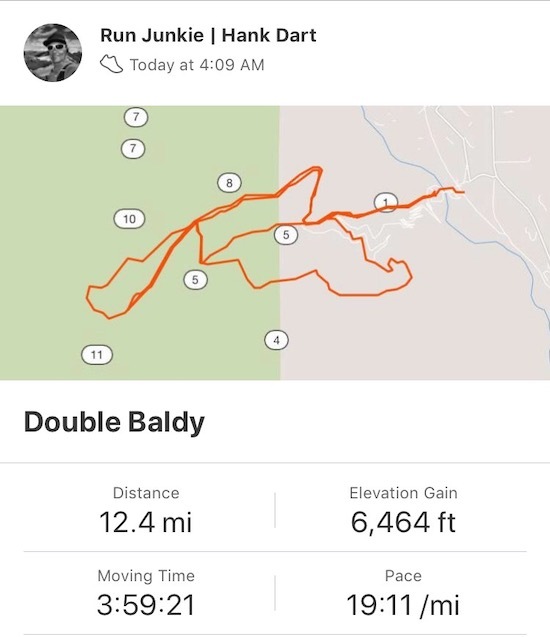 The last time I did a double Baldy was in 2009, in the run up to the Coyote Two Moon 100k in Ojai, CA. My training volume was about twice what it is today; I was 10 years younger; and I was 10 pounds lighter. 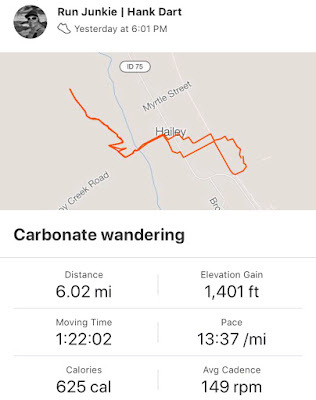 As I struggled up the first climb, I couldn't help but miss my previous fitness and speed, which brought Eliot's quote to mind. I mourn the loss of my younger self, but perhaps it's time to embrace whatever the new me is. Perhaps. 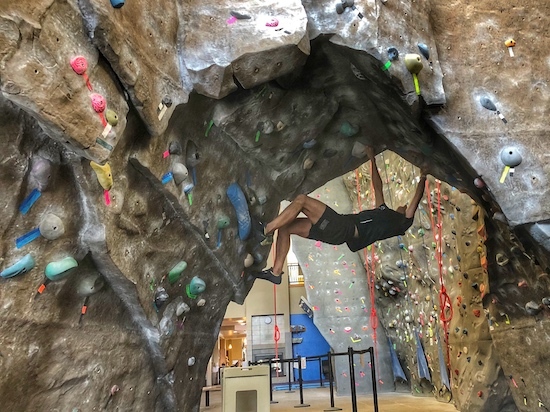 Marathon Investigations - "Sabrina Little"
Took a little while to get going after bouldering, then felt fine. Just an easy shakeout on soft snow to finish up the week. Irritated to the point of turning off the Marathon Investigations episode, where they at once dismissed all superhero movies and the value of people who do an ultra because it's an item on their bucket list. As a bucket list Ironman finisher (CDA 2005), it seemed both a petty and strange stance to take - that life was such that we are only allowed to take part in experiences in line with lifelong passions. Plus, however interesting the podcast is - and it can be really interesting - its unnecessarily bad audio quality is always a distraction. 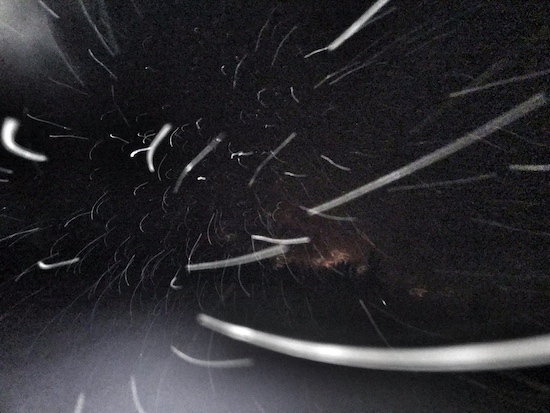 Trying to figure out exactly how early I'd need to wake up for a double Baldy attempt tomorrow, if weather cooperates. Conclusion: 3am or so. Slate Political Gabfest - "The 'Pocketing Your Notes' Edition," Talk Ultra - "Camille Herron and Tyler Curley"
Slow conditions, with ice, compact snow, and loose snow after overnight storm, but generally felt good, if a bit tedious. Started in full light, finished with headlamp. Returned home cranky - no explanation. Thinking about the falling pants in Waiting for Godot, after hearing an In Our Time story that Beckett was distraught to learn that, in certain productions, Estragon's pants weren't dropping all the way to the floor after he removed his rope belt. Thinking about entering the Antelope Island Buffalo Run 50 miler in March, and wondering whether it's too soon to make sense. 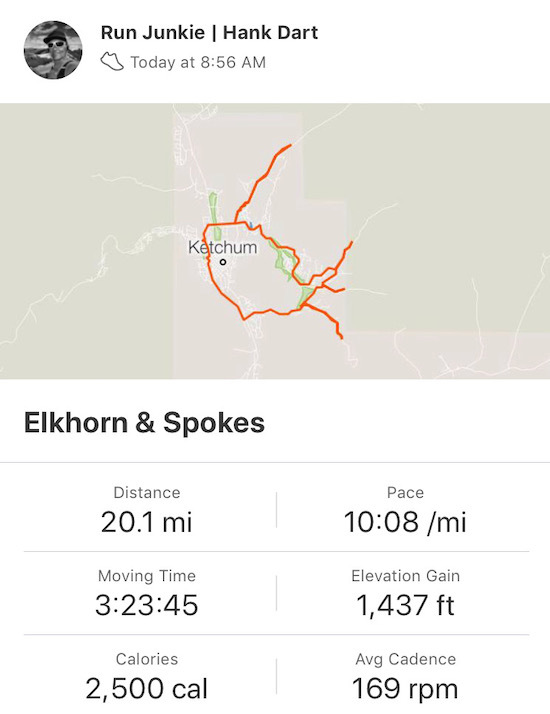 Timing would be good to begin a lead up to Tahoe Rim Trail 100 in July, but I can't pack the weekly miles like I used to be able to, so recovery is always an issue, especially with Miwok in early May. Thinking that road runs at 5pm on a weekday are not always the most relaxing thing.